Former KKK Leader and Trump supporter David Duke was there. He called the rally “a turning point” and said that white nationalists will “fulfill” Trump’s agenda. “With many armed militia present, we thought bullets might be a problem. But as it turned out, it was just like European terrorism: a car aimed at pedestrians. 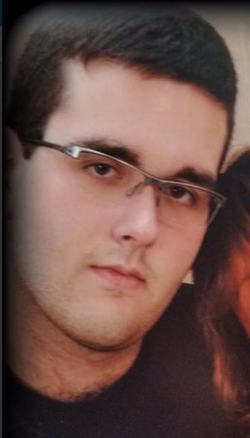 A 20-year-old man intentionally drove his car, estimated at 40 m.p.h., directly through a crowd of counter-protesters. He killed a 32-year-old woman and injured at least 19 others. Watch the video of the incident here. He has since been charged with second-degree murder. 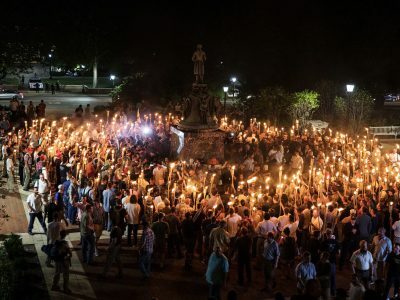 Why it matters: By addressing the “many sides” of this protest (which was organized by white nationalists upset with the removal of a Robert E. Lee statue), Trump failed to distinguish between those demonstrating in support of white supremacy and those who showed up in opposition to it. Former KKK leader and Trump supporter David Duke said the protest was “a turning point” and that white supremacists will “fulfill the promises of Donald Trump.” Denouncing white supremacy in his remarks, or simply not blaming “all sides,” would have allowed him to address this issue and set the record straight. Be smart, courtesy of Mike Allen: Being a leader is taking your people where they don’t want to go, or don’t know they want to go. Being president is about rising to the occasion, not shrinking to your base. Large swaths of Trump’s base don’t think like this. The vast majority of conservative Americans aren’t racists. Trump does them a disservice by creating that impression, and by coddling or fearing the few who resist loving one another. The Department of Justice announced it’s opening a civil rights investigation against the man who drove his car through the crowd.